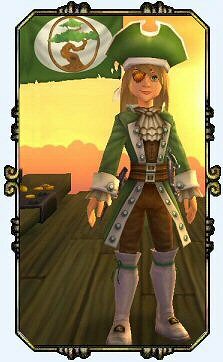 August 3rd, 2013 Sly Victoria Hawkins became part of my Captain Sisterhood. In an effort to share information here on A Pirate’s Portal, I needed a Buccaneer Pirate and she is filling the bill quite nicely. I decided to make her a sister to Scarlet Hawkins. I simply like the idea of a ‘Hawk’ family and Scarlett being the only “not” Victoria character in my collection, she needed someone to connect with. So here she is, another Hawkins created in my name sake. Victoria Hawkins lost her parents, and her sister to a terrible storm in the Hamamitsu Skyway. She was raised in Mooshu on the Isle of the Hamamitsu Garden. There she was taken in by the family Yojimbo and raised as one of their own children. Growing up with a clan of Ronin is not so common. Samurai who no longer serve a Daimyo feudal lord have a rough life and are constantly on the move to avoid attack from other clans. Consequently Victoria is a natural born warrior and can hold her own with the best of Pirates in any skyway. Growing up among Samurai warriors has not only made her tough and able, but she has learned the ways of sword and gun. Being quite able to use either in a fight. But don’t discount her abilities at hand to hand combat either. Growing up with 3 Bull brothers was no easy task either. 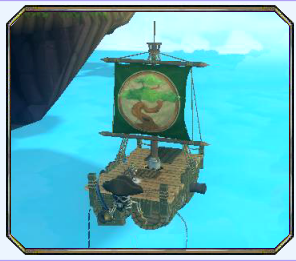 In fact today she sails the skyways with one of her brothers, Kobe who promised his parents to always watch over his little sister as they travel the worlds of the Pirate Spiral. To honor their home of Hamamitsu, Victoria and Kobe chose the Yen Tree as their ships emblem. 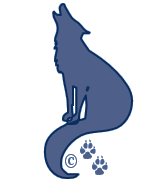 It reminds them that patience and calm movement bring wisdom and knowledge to their path forward. 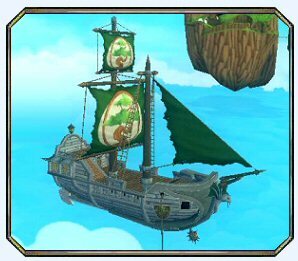 They selected the colors of the garden to fly over their ship, as a reminder of where they came from. For you cannot know where you are going, if you don’t know where you started your journey. Thus their ship’s colors are Green and White. Kobe and Victoria traveled to Skull Island looking for information about her original family. That search lead them to Captain Avery who knew exactly who she was and what happened to her parents and sister. Though her parents were lost in the skyway, Victoria was surprised to learn that her sister Scarlet had survived and was sailing the skyways as well! They have managed to trade messages through their mutual friend the Frog Father, but they have not yet managed a meeting. Perhaps sometime soon they will arrive in the same place and share a pint of yum. 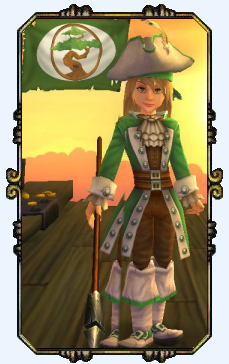 Victoria is currently a level 8 Pirate and is Pirating in the world of Skull Island with her First Mate and Crew. Keep up to date with her journeys through the Captain’s Log and her stories of excitement and adventure.